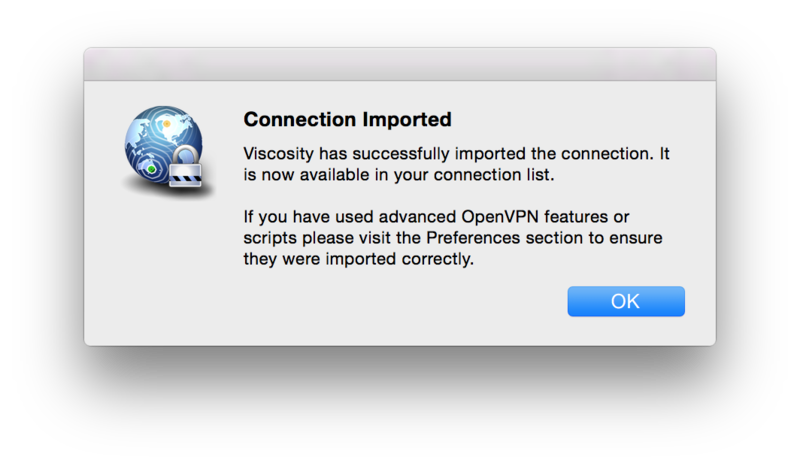 From the FoxyProxy Control Panel, go to the Actions menu and download the OpenVPN configuration file for each of your locations. 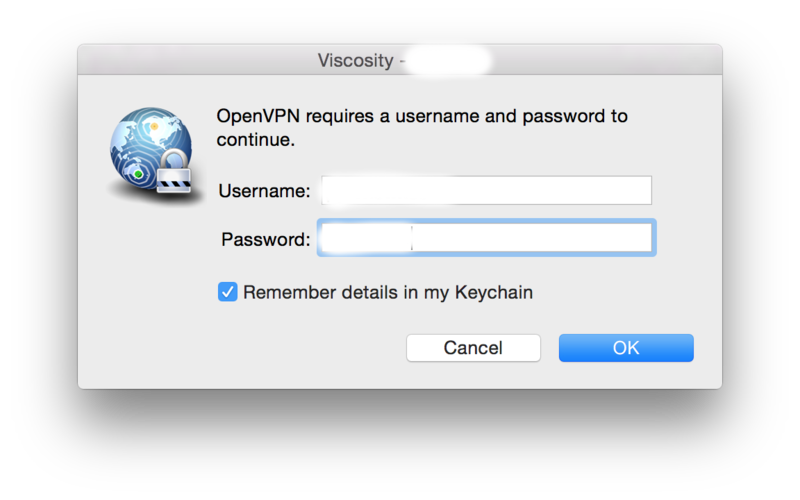 If you have many of them, click Download all Tunneblick/OpenVPN files as zip instead. If you have any trouble downloading the files, contact FoxyProxy Support and we’ll be glad to email them to you. If you download the zip file, please extract it. 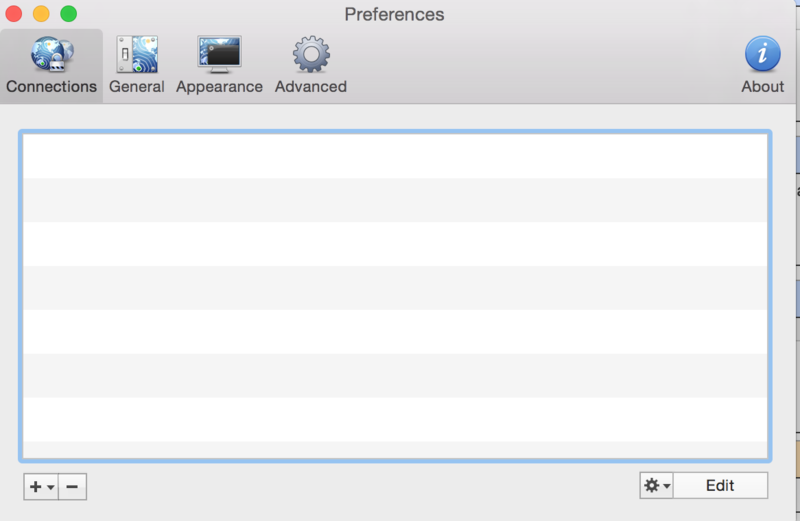 Open Viscosity by selecting its toolbar icon and then clicking “Preferences”. Click “+” then Import Connection then From File. 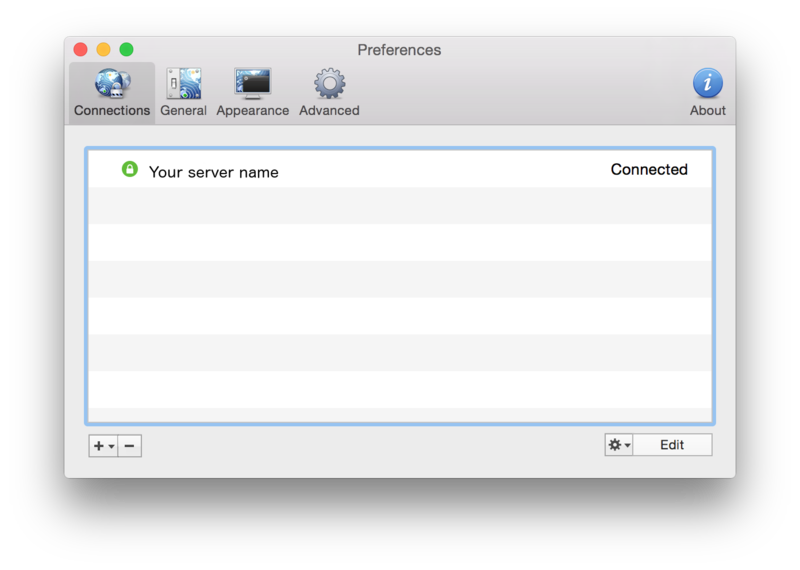 From the file selection window, find the .ovpn files that you downloaded from the Control Panel. NOTE THAT IF YOU DOWNLOADED A SINGLE OVPN FILE (NOT THE ZIP FILE) USING SAFARI, THEN SAFARI CHANGED THE FILE EXTENSION FROM .OVPN TO .OVPN.TXT..
You should now see ” disconnected” in the window. From the toolbar, click the Viscosity icon and select “Connect <server name>”. You are now prompted for username/password. These were provided to you after purchase and also emailed to you. You can also retrieve them from the Control Panel. Copy and paste this info to avoid typos! Be sure to check “Remember details in my KeyChain” so you don’t have to type this ever again. You’ll see “<server name> connecting” in the window. 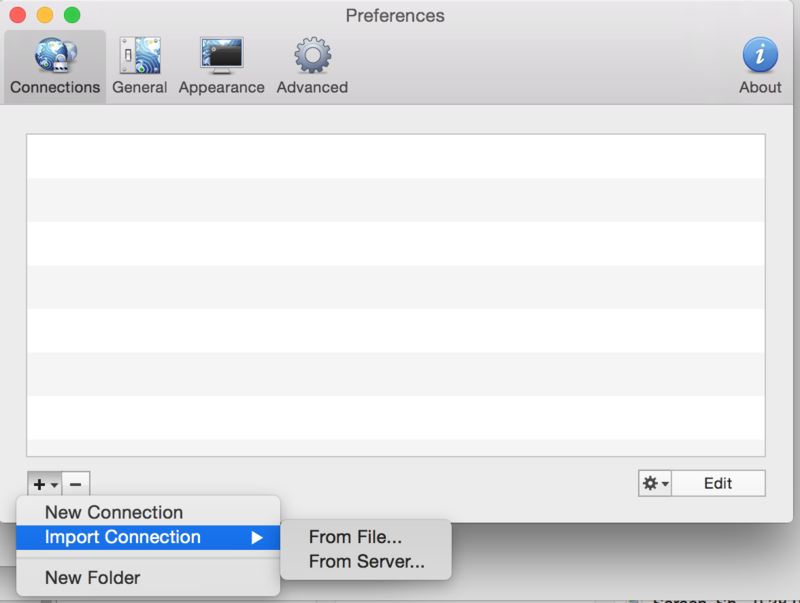 Wait for it to say “<server name> connected” in the Viscosity window. Ignore any popup message that says you’re connected with an IP of 10.x.x.x. To disconnect, select the Viscosity toolbar icon and click the “Disconnect “. 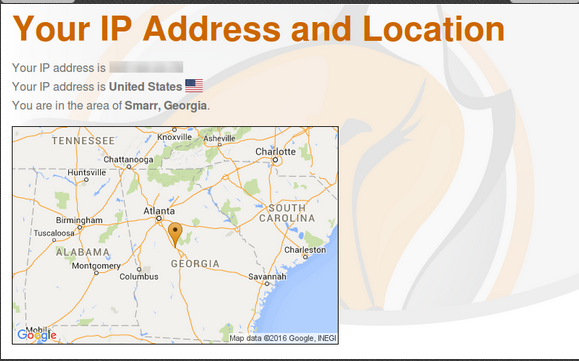 You can confirm that you’re disconnected by again visiting https://getfoxyproxy.org/geoip/. It should display your current, real location and IP address.